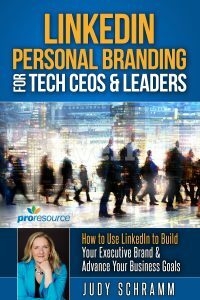 ProResource > credibility > How Do I Build Relationships on LinkedIn? Building relationships on LinkedIn requires a different tact than with people you meet in person. You might attend a conference or a networking event. There, you work the room introducing yourself and learning about others. Before moving on, you exchange contact information and follow up. With LinkedIn, you’re in a room with millions of other professionals. Who do you talk to? What do you say? Should you send a message? Start a conversation in a forum? It’s almost like trying to clean an overflowing garage. Where do you start? First, know that there are no shortcuts or speedy ways to cultivate relationships in LinkedIn. The good news is that following this process will ensure you take a direct path to building relationships on LinkedIn. Start with the reason why you’re on LinkedIn. What do you want to get out of it? Grow business? Find partners? Connect with investors? Invest in startups? In answering this, it’ll help you define your target audience. 1. Search for new connections. Begin searching LinkedIn Groups to find the people who meet your defined target audience. For example, if you want to connect with managed services providers (MSP), look for MSP-related groups to join. Be careful. If you’re not an MSP and the group is specifically for people who work for an MSP, it would probably be best not to contribute. Still, you can listen. Look for groups with a decent amount of members and lots of activity. For every group, LinkedIn displays the group’s activity level. After joining a few groups, monitor the discussions while noting the names of people you may want to contact. LinkedIn’s search tool gives you another way to find people. Its search tool allows you to save searches, search by keywords, company, location, job title and more. Read Advanced LinkedIn Search Tips and Tricks for more ideas on how to maximize your searches to find the right people. LinkedIn Groups can open the door to an introduction. When a contact you’d like to meet posts something you found intriguing, send a message that references the post. Use it to introduce yourself with a request to connect. Do you and the prospect know someone in common? Ask your mutual friend to connect you. People tend to follow through when receiving referrals from people they know. Yes, it’s harder to build trust online when you can’t look someone in the eye and shake hands. But you can show you’re reliable, likeable, and competent through your actions. An easy way to do this is with education. You gain trust by sharing useful resources like case studies and articles, forwarding news, sending analyst reports, and letting people know you saw their company mentioned in an article. Every time you stay in touch on LinkedIn by providing valuable resources, it nudges up the trust meter. Another way to build credibility is to make and follow through on promises. Most people fail to follow up or are generic about how they will follow up. A good promise is one that you know you can deliver, is under your control, and doesn’t rely on other people to make it happen. A promise can occur in an email, phone call or tweet. When you make a promise, be specific about when you’ll follow up whether it’s tomorrow or by next Monday. Then, deliver on the promise. Life happens. Sometimes you can’t keep a promise for whatever reason. Contact the person as soon as possible, apologize, and make another promise that you know you won’t miss. If you have an email list, you can add new LinkedIn connections to the list. When people accept your LinkedIn connection request, it gives you permission to stay in touch with them. But you don’t want to abuse that. Yes, you can add them to your email list. But it’s better to ask them first if it would be OK, and explain why the emails would be useful to them. Respect them enough to give them the choice. Nurturing is the process of building relationships with non-sales-ready leads to keep them your funnel. LinkedIn provides some tools to support relationship-building. You may get notification emails from LinkedIn letting you know who’s celebrating a birthday, a work anniversary, new job and so on. If not, you can see this in your Connections section on LinkedIn, under Keep in Touch, where you’ll find all of your LinkedIn Contacts. Use those and these six excuses to stay in touch on LinkedIn. Check your home page for news, articles, and content from your connections. Like, comment, and share their content. Little things like this build warm fuzzies. Endorsements offer another quick way to do something for others. Visit a person’s LinkedIn profile and simply click the skill you wish to endorse. If someone endorses your skills, that’s another excuse to send a message of thanks and check in. You can go further as a lead moves along in your sales funnel. Eventually, when the lead moves from cold to warm, you’ll mention your product or service and explain why it’s the right one. Education works well with prospects in the awareness phase of the customer decision journey. It also helps overcome potential objections and teach them what they need to know. 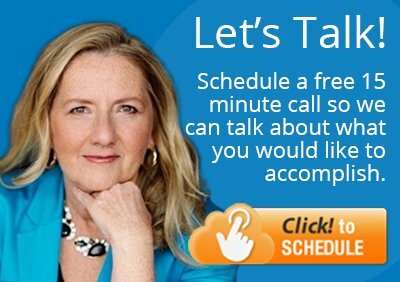 You can invite serious prospects to webinars and events, a great way to demonstrate your expertise. Effective companies have a marketing strategy that identifies what content they share with the leads based on where they fall in the sales funnel. When your LinkedIn connections reach the next phase of the customer decision journey, be sure to include them in the activities for that phase. At the right time, you can share video customer testimonials, podcasts, white papers and product demonstrations. Remember that you can enter notes about connections in LinkedIn. No one else can see these notes. You can also use tags. When meet someone, you can tag that person with “Awareness” or whatever you call the first phase of the funnel. When someone moves from “Awareness” to “Consideration,” then you can drop the “Awareness” tag and replace it with “Consideration” or your name for the second phase. Do this for your connections to know where they are in your funnel. Do consistent nurturing to keep your company in front of prospects. That way, when they need you, they’ll remember you. You’ve reached the end of the line. Your prospect is sales-ready. Take the relationship to the next level by requesting a phone call or in person meeting. Before you connect offline, prepare to share what you have to offer that benefits the other person. It’s easier to create value when you focus on giving rather than receiving. The most successful LinkedIn users stand out because they always offer value. There’s a reason why answering “What’s in it for me?” still works. Thank them for their time. Don’t forget – keep nurturing the relationship even after you move it offline. Sharing warm fuzzies never gets old. What other ways can you build relationships on LinkedIn?